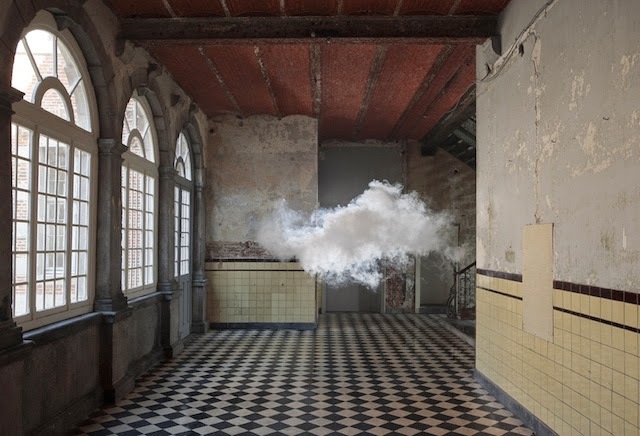 Berndnaut Smilde is a Dutch artist who since 2010 has been skillfully creating clouds inside indoor spaces. 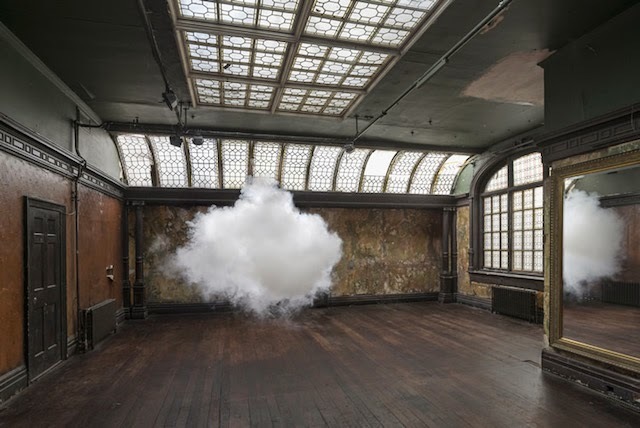 The artists has mastered the art of controlling the weather conditions of a room by making clouds appear inside the oddest of spaces. 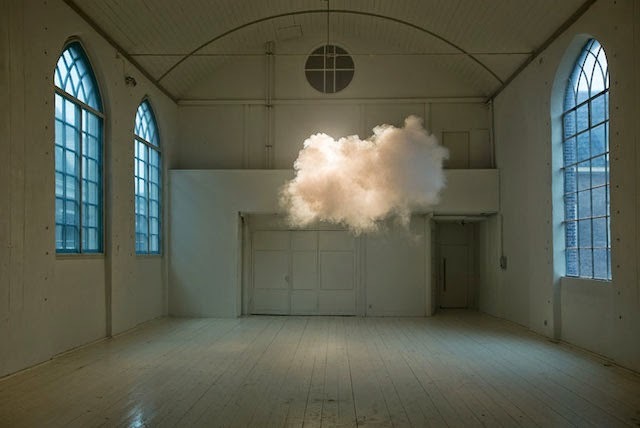 This projects was called “Nimbus” and it combines various interior of rooms and with clouds figures. 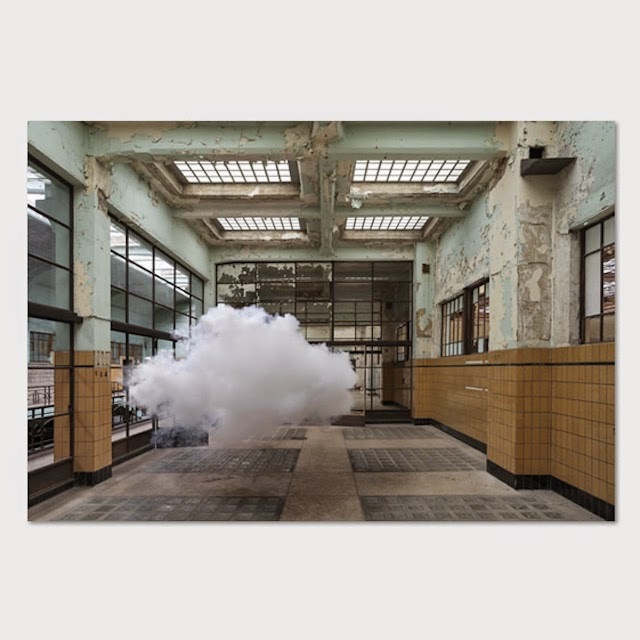 Smilde playfully reinterprets the cartoon reference of a cloud as a the universal sign of bad luck by creating the profound where walking into an empty space dominated by a colossal cloud makes one ask whether it is real or just a strange hallucination. 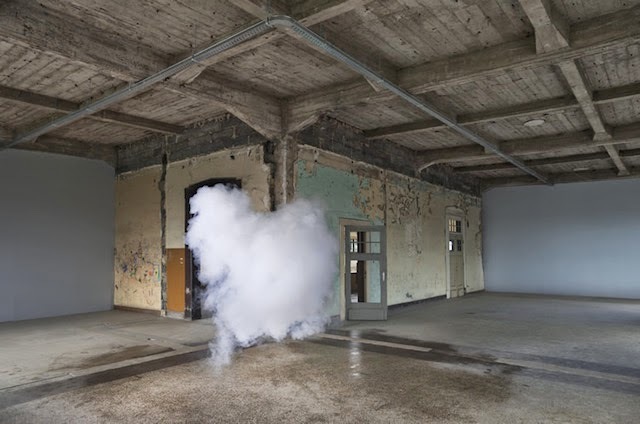 In fact, very few people have actually seen Berndnaut Smilde's work in person. 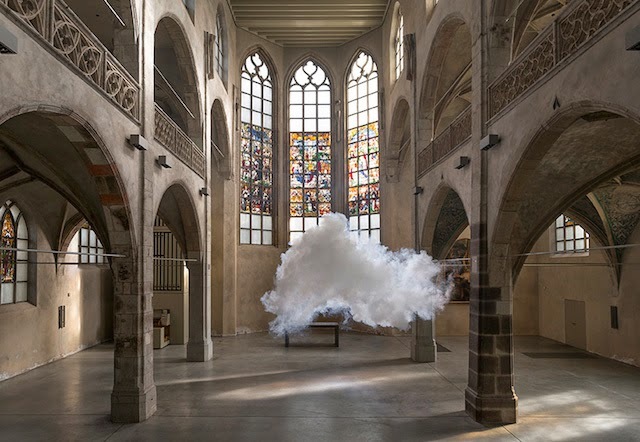 As short-lived as a summer storm, his unusual clouds live only to exist in photographic form. Somewhere in-between reality and illustration, the beauty of a fleeting smog is captured on a print that becomes the only way to prove that they ever in fact existed.